JMS continues high investment in low level powered access platforms and has been named as one of the UK’s top five powered access companies for low level fleets in Cranes and Access magazine. JMS has invested significantly in low level access over the course of 2017, adding more than two hundred new machines to its hire fleet. Managing Director of JMS, Mark Jackson said: “A desire for the highest standards of safety and productivity is driving demand for low level access machines, which our customers can see have advantages over other safe systems for working at height, such as scaffold towers. “Our aim is to be able to always have the right machine available, and ready to deliver. Many of our customers are major contractors who can plan their hire options in advance. JMS, which has a fleet of 850 low level access machines, is always looking to make the latest models available to customers in a market that is rapidly changing, with new and improved models being developed and launched all the time. Pecolift and Ecolift – Two of the most popular low level models at the fleet. Available to hire from JMS – Call 0845 457 0000 for more information. Improved Safety – many maintenance and construction companies have all but banned the use of ladders and step systems, stipulating the need for safer systems for working at height in contractual agreements. Low level access machines provide a safe and secure environment for operatives to work at height. Productivity – low level access machines combine the flexibility and quick set up benefits of ladders and steps, with enhanced safety, and an improved worksite environment. This maximises productivity, especially when working on confined spaces. Set up and relocating times are often shorter than with scaffold systems. Flexibility – low level access machines can be used to carry out a wide range of maintenance and construction tasks, and allow operatives to keep tools and materials close-by, boosting productivity. Team Morale – operatives increasingly appreciate the benefits that low level access machines give them in carrying out their work safely and efficiently. This can be good for productivity and staff retention. The continued investment in low level access hire machines include a broad range of products from push around machines, to self-propelled low-level models. 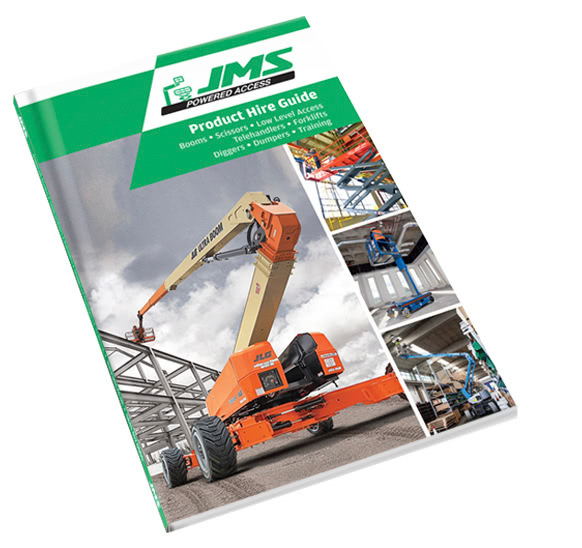 JMS have invested in a range of low level products by leading manufacturers including: Power Towers, Skyjack, Boss, JLG, Genie, Pop-up, Dingli and Haulotte. JMS has invested significantly in Power Towers low level access models, including Ecolift, Pecolift and Power Tower machines. The zero-emission Ecolifts and Pecolifts are push-around machines that are power-free and oil-free. 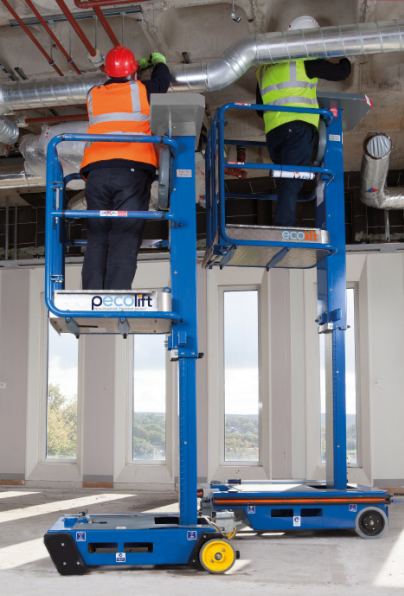 The Pecolift has a maximum working height of 3.5m and the Ecolift a maximum working height of 4.2m. Both machines have a platform carrying capacity of 150 kg, including the wind rated models. The Power Tower is an electric access machine with a maximum working height of 5.1m, and a platform capacity of 250kg. All of these products have non-marking tyres, and are designed to be lightweight and compact. They can easily fit in passenger lifts, and work well in confined environments including hotels, retail spaces, and offices. Providing customers with a responsive service is an essential part of the JMS hire service. All low level powered access equipment is available for hire nationally through JMS’s depots in Harpenden, Hertfordshire, Leeds, West Yorkshire and Pinewood Studios, Bucks.